Bally’s Elite Bonusing Suite™ applications have taken another leap forward with Bonus Tournaments. Part of the DM Tournaments™ application, Bonus Tournaments enable you to run floor-wide tournaments in which players can play the base game and tournament game simultaneously. This feature ensures there is no interruption to coin-in, while offering the player an exciting opportunity for another chance to win a casino-configurable tournament. Base-game play can be used to qualify for tournament play and can even be used to drive tournament scores. Tournament play no longer requires disabling games from their revenue producing mode, which means no downtime, no lost revenue, and an end to the hassle of staging traditional slot tournaments. 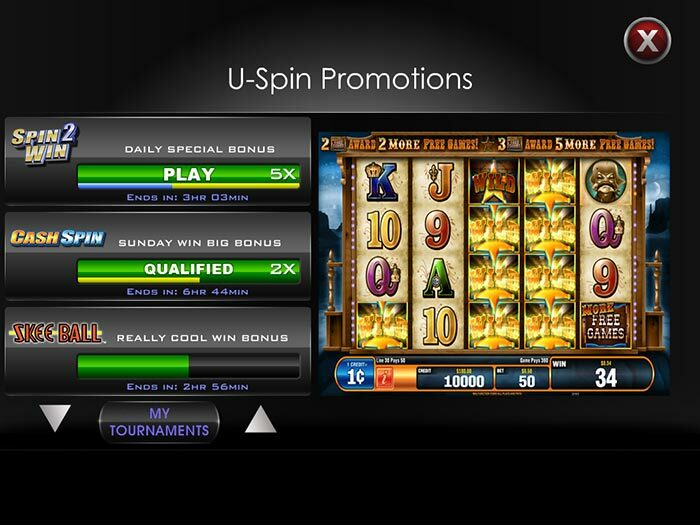 Bonus Tournaments runs on any machine equipped with iVIEW™ or iVIEW DM™. With Bonus Tournaments, you can expand your tournament offerings to include limited-entry, group-start, earn-and-get, invitational, and other bonus tournament formats. Tournaments are fully configurable and since qualifying is automated, the tournament process is nearly seamless.